Hey Tim!! Happy New Year to you also!!.. I got your voice mail at work awhile ago but have not had time to respond. January is a crazy, crazy time at Green Shield. Anyway my friend, everything is going smooth with our new mortgage. All the withdrawals are correct and so is the mortgage insurance. We are already ready seeing a huge savings along with having a little more money in our bank accounts at the end of the month. I cannot thank you enough for helping us with this. I really thought I was on the edge of bankruptcy. Yeah for Tim Fong!!! Once again thank you so much and trust me my friend you will be my mortgage broker for life. Just an FYI for ya I am thinking about moving closer into my work in Windsor in about a year. Keep ya posted on that. All the best to you and yours for 2011!! Thanks again for everything Tim! Dave and Margaret Please pass this along to the big boss. I like to give KUDOS! To those who deserve it and you definitely deserve it. It has been just over a month since we completed the whole mortgage renewal process with Tim and we couldn't be more satisfied with the outstanding service that he has provided! Needless to say, Tim continues to provide that service with check-ins to ensure that we're happy with the products/services that we've decided to go with, even after it has all closed. This is just a mere example of how Tim goes above and beyond for his clients and how he stays on top of everything from beginning to end. From our initial consultation until today, he has exceeded all of our expectations. Not only was he able to provide us with a mortgage provider that we're happy with, but he was also able to effectively build on the personal relationship that we already had with him into a successful professional one. We trust Tim and he has provided us with sound and helpful advice that we consider to be invaluable for our financial future. To add the cherry on top, he's going to keep us styling and warm this winter with our new Nobis toques. Thank you Tim for all that you've done and continue to do for us! We absolutely recommend Tim, bar none an exceptional mortgage broker and then some! Thank you again for everything you've done for us. We really appreciate it and are so happy to have gone through you. We couldn't have finished our purchase without your help. We are so excited and will be getting the keys within the next hour. Yay! We will make sure to send you a picture once we're settled in. We will definitely keep referring you to our friends who are looking to buying a house in the near future. Thanks again! Morning Tim, Michelle and I want to thank you for everything. You made our journey very easy, informative and pleasurable. From our very first meeting, I don't know what it was about you but I told Michelle "I have a good vibe about this guy, lets work with him" I really appreciate your patience and the way you broke things down to make things more understandable. In the future if I hear anyone hinting they need a mortgage, I am going to fully recommend you. Keep up the good work, thanks for everything. To whom it may concern, Recently I purchased my first home, a condominium. I will admit that the process was exhausting and stressful, and occurred during what was already a very stressful time in my life. Throughout the course of the purchase, I experienced many instances of poor service, indifference, and broken promises. However, there was one beacon of light, my mortgage agent, Tim Fong. In my life, I have rarely experienced the quality of service that Tim provided. Tim was unbelievably reliable, knowledgeable, and supportive. Not only did Tim respond to any request immediately, regardless of the time, there was no question big or small that he could not answer. Additionally, the information he provided me was consistently correct and very comprehensive. Tim regularly contacted me just to check in and make sure I was fine, everything was on track, and to offer his assistance in any way. I honestly feel that I could not say enough good things about Tim. His service went beyond that of a mortgage agent and there were days when he seemed to be the only thing keeping my sane while I dealt with many of the other "professionals" involved in the purchase. Without hesitation, I will recommend Tim to anyone who requires the service of a truly professional, caring, mortgage agent. 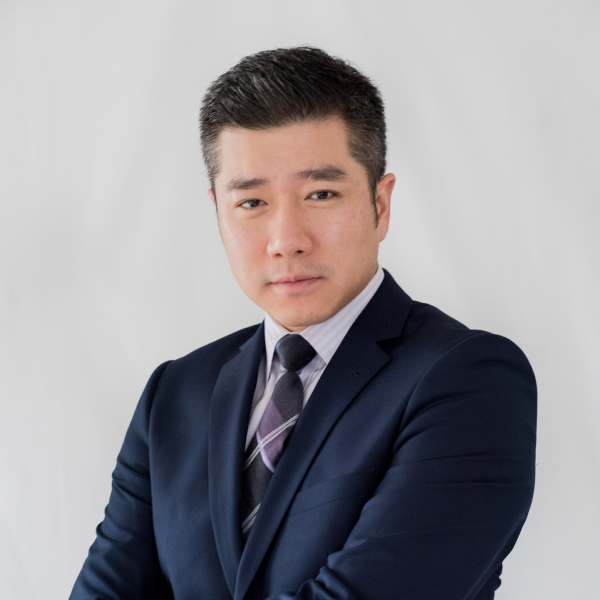 Tim Fong is a huge asset to your brokerage; he is reliable, knowledgeable, kind and caring professional...a true gem. In case you are wondering, I did not know Tim prior to sending in an email request for information via your website, but I am eternally grateful that my request landed on Tim's desk. Sincerely, Christine. Dear Tim, Tracy and I would like to congratulate you and your family. It is wonderful news to hear about the new bundle of joy, Olivia. We want to thank you for all of your hard work, you really have been so kind and caring. Once we are ready to renew again, we are sure we will know who we'll be looking for. Thank you Tim, once again, for everything you have done for us. Congratulations once again to you and your family, all the best to you and your family over the holidays, Tracy and Earl.